Jimmy V - "Don't Give Up, Don't Ever Give Up"
The ESPY awards have celebrated and captured some of the greatest moments in sports, but none will match the emotion of Jimmy V’s “Don’t Give Up” speech. One of the best moments ever to come out of the ESPY’s – and arguably one of the best speeches ever – is Jimmy Valvano’s acceptance speech for the Arthur Ashe award at the 1993 ESPYs. Even MC Hammer knew you couldn’t touch this (But I’m not sure who Jimmy Vone is). Jimmy V will always be captivating. I remember watching the NCAA Final Four and seeing a some crazy guy running around the court. I was intrigued. You can see Jimmy V running around the court, just looking for someone to hug. I have seen Jimmy V’s acceptance speech countless times. I have quoted it at church, at school, and in speeches. I teach speech at the local community college, and each quarter I make my class watch it. It’s a powerful message. One that will make you will laugh, cry, and be motivated. For those who have no idea what the ESPYs are, it’s kind of like the Oscars for sports. I know what you’re thinking, “Wait, I thought they already have trophies? Why do they need more awards?” Exactly. 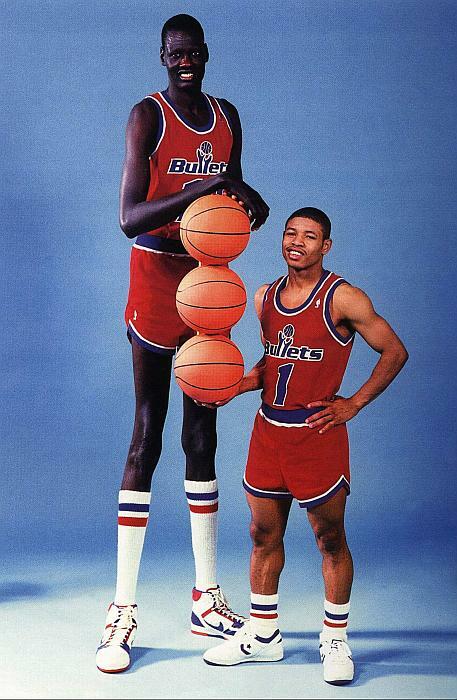 I think 5’3″ Muggsy Bogues took home the award for shortest player in the NBA yet again. Previous PostTWEEKED – Best Tweets of the Week for July 6-13Next PostSo You Think You Can Read? 2012 SYTYCD Top 20 Season 9 Live Show!